History has an odd collection of professions that would get many employers in trouble today. And unlike today, workers relied heavily on the physical aspect of labor, compared to sitting 8 hours a day staring at a screen. Back then, jobs involved plenty of hazards, and forcing children to work was accepted. What we know about jobs during those early centuries seems by what we see on TV and movies that don't give even a vague picture of how people earned a living. While there were occupations such as coach drivers, tax collectors, and government employees; the historical world is full of jobs involving getting dirty. If you think you are having it hard right now because your boss is making you work on a weekend, then you have no idea what people went through in historical times. So, in today’s list, we are counting down to the 12 worst jobs in history that you could ever have! Matches were a complete household necessity before the dawn of electric power; so much so that an entire profession revolved around the creation and distribution of these phosphoric fire starters. On the outside, making matches for a living may seem like an easy task. However, since the medical sciences have not yet been as advanced as it is today, people are unaware of the dangers of the chemicals they work with. On a daily basis, matchstick makers are exposed to massive amounts of the chemical phosphorus where they dip the tips of their matches. Over time, the chemical would enter the body through inhalation or skin contact and workers would contract a disease called “phossy jaw” where their mouths would develop abscesses that would eat away at their face. Unfortunately for them, the only treatment for the ailment is to surgically remove the infected jawbone leaving them disfigured for their entire lives. For anyone to become a leech collector is simple. He or she does not even need to apply for the position. All that they need to do is to walk in areas infested with the parasite like swamps and marshlands and catch them by exposing a few limbs for them to latch onto. After that, they would see the nearest doctor and sell the creatures for a quick buck. The risk involved in this occupation is high because, with the way the leeches are collected, a potentially fatal amount of blood could be lost during the process of collection. As far as we know, the profession of pest exterminator has existed since the 19th Century, but it was an entirely different practice. Rat catchers were more prevalent than termite or cockroach exterminators. As the world slowly moved forward with industrialization, so too did the population of vermin multiplied. People moving from countryside to the big city, trains traveling from one border to the next, and ships docking from port to port have contributed greatly in vermin population. To control the rat problem, rat catchers were called on by people. These “professionals” would then rub a mixture of different oils on their clothing and hands to lure rats that they would catch with their bare hands. Illnesses, sometimes fatal, from bites and scratches, were considered occupational hazards since the use of safety equipment was an alien concept in those days. Fulling is a process in which wool is cleaned and given its thick texture. It still exists in some countries today. However, during the time of the Roman Empire, the job was so horrendous that merchants would delegate this rather dirty task to slaves. To get the right quality out of the wool, a slave would have to wade through a pool of urine to clean the wool. Urine, after all, contained ammonia that is used even today as ingredients in industrial cleaning agents. Luckily, when the Middle Ages arrived, the Fuller’s job was made less grotesque when a cleaning mixture called “Fuller’s Earth” was introduced, making the use of urine obsolete. The Victorian Age gave birth to plenty of professions that involved scavenging. One of them was called Bone Grubbing. The occupation sounds as dastardly as you would think. Enterprising Bone Grubbers would scour the cities of rotting bones from butcher shops, trash heaps, and wherever else a dead animal or body could be found. These bones would then be sold to dealers and merchants to be made into everyday items such as toothbrush handles and teething toys for infants. Whatever could not be sold or used for merchandise would then be ground up and boiled to be made into either soap or plant fertilizer. Another popular scavenging profession during the Victorian Age was the Mudlark. You could say that Mudlark’s were a scavenger’s scavenger since the job was mostly within the community of the extremely impoverished. Mudlarks are often seen scouring the riverbanks and trash heaps to find things that other scavengers may have overlooked such as bone, pieces of metal, and even fabric. Afterwards, these found items would then be sold to merchants or other scavengers for a little bit of money. One of the many downsides of this job is occasionally having to wade through cesspits of human waste and bumping into the occasional corpse in the river. Speaking of corpses, Body Snatching became a popular profession during the same century when medical study was at its most vigorous. 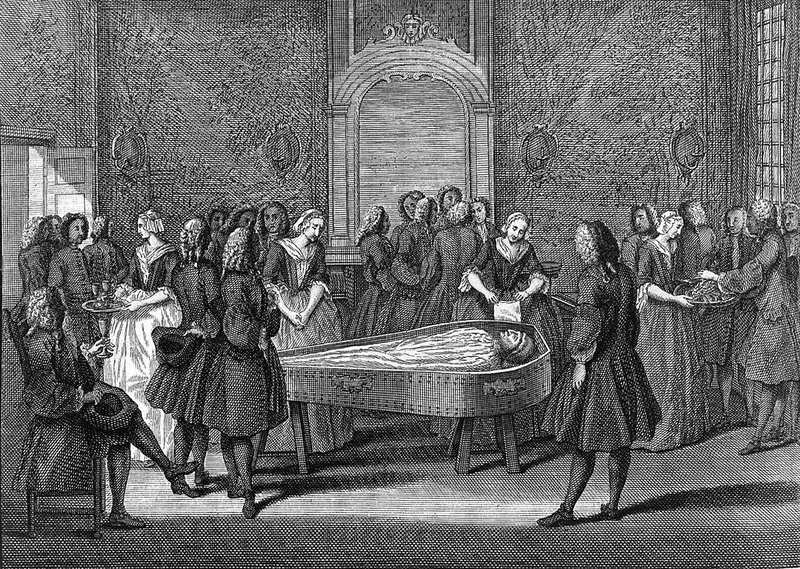 Since corpses for anatomical study can be hard to come by in the open market, Medical universities and institutions would pay top dollar to people who are willing to dig up fresh corpses from graveyards. It goes without saying that Body Snatching is practically grave robbing. A crime, in those days, that could end you up in the gallows. However, in this profession, where extreme discretion is key, many people have found it to be lucrative that some Body Snatchers would haul multiple corpses for their patrons. However, due to Victorian science’s high demand for anatomical subjects, many Body Snatchers were not above committing murder. Monarchs have an extremely high regard for themselves as well as their progeny. In fact, should a prince misbehaves, it is a crime to correct or reprimand the child unless you are the King or Queen. To make sure that a young prince keeps to his best behavior, since Kings and Queens aren’t always around to tell their child off, the court would employ the prince’s closest friend – also of noble stock – to be the designated whipping boy. Essentially, when the prince misbehaves or is caught in a situation that demands discipline, the punishment is carried out through the whipping boy; a punishment that usually involves whipping or beating. The logic behind it is that the punishment would be so severe that the prince, upon seeing his friend, would be guilted into behaving properly and according to his royal stock. If you think that to be a prince’s whipping boy is hard, try being someone’s Sin Eater. To put it simply a Sin Eater is someone employed to take on the “excess sins” of a deceased person. The family of a dearly departed would have a Sin Eater present at the funeral, and before the body is lowered into the earth, a piece of bread is passed over the casket to the Sin Eater. He or she then eats the bread that has “soaked up” the remaining sins of the dead and passed on to him or her for his or her lifetime. It may not sound bad, but in medieval society, Sin Eaters are social pariahs and are shunned and hated by every level of society because they believed that these individuals are extremely depraved and beyond salvation. The Ancient Romans are known for their lavish parties that could stretch from dusk to dawn. Most especially when it involves the wealthy, these parties are filled to the brim with every kind of food and wine you can imagine. What the Romans would do is to eat to their heart’s content. Once full, they would then move to a separate room where a bucket or basin waits for them. They would then induce themselves to vomit out all the food and drink they just consumed to “make room” for more merriment. It is the task of the vomit collector to periodically empty out and clean the buckets and basin that are filled with vomit and, in some cases, feces. In the Middle Ages, sewage systems were as non-existent as indoor plumbing, so the amount of waste had to go somewhere. Industrious individuals would come up with a network of pipes that dumped their excrement onto the streets or cesspits, away from their homes. But it’s not always “out of sight, out of mind” when it comes to dealing with piles of human waste. Somebody had to take on the job of actually hauling all of it and cart it away from city limits. This was the unfortunate occupation of a Gong Farmer. While it sounds whimsical, a Gong Farmer’s job is just that: collect human waste from cesspits and streets; and he had to do his job under cover of night. He would then cart it out of town and dump it far from any populated area. Obviously, a Gong Farmer had to live as far away from other people as possible due to the smell. Not only that, this backbreaking work has been known to cause serious illnesses to the worker from the noxious fumes that he inhales. Sometimes the worst job does not necessarily have to be done by someone from the lower levels of society. There are worse jobs exclusively appointed to noblemen and aristocrats – one was becoming a monarch’s Groom of the Stool. Believed to be a prestigious position and service to the day’s reigning monarch, it was no less humiliating. The Groom’s job was to fetch a monarch’s toilet chair when His Highness needed to go; and, since monarchs claim to have some kind Divine Right of the Gods on earth, it is also the Groom’s job to wipe the King’s Benevolent Bottom. On top of that, it was also the Groom’s job to collect a sample of the King’s Divine Doodie and examine it for any signs of illness. Finally, as if the job was not prestigious enough, the Groom of the Stool is given the highest honor of administering an enema if the King finds his Rite of Passage blocked. So there you have it, 12 worst jobs in history! Let us know what you think in the comments section below!